As the end of summer approached, Unlimited Abilities Foundation team worked aggressively to start working with local companies in regards to receiving silent auction gifts for our annual event in October. One of the first companies that wanted to step up and assist us with a tremendous silent auction item was Hamilton Jewelers. 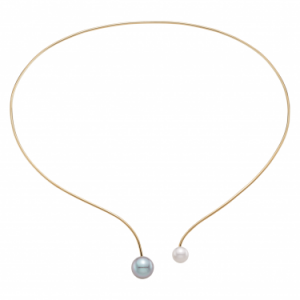 We were absolutely amazed at their generosity in providing us with a gorgeous 18 karat gold and multi-pearl wire necklace. it’s simplistic design complemented by its ergonomically fitted 18 karat gold wiring makes this a beautiful piece that has to be seen in real life to understand its true beauty. Founded in New Jersey in 1912, Hamilton has been offering clients the finest quality, value, and design for over 100 years. With a heritage of excellence and family ownership, Hamilton is proud to serve generations of guests with an outstanding experience with each and every visit. Hamilton’s expertise in design and manufacturing in our own workshops has produced many exceptional pieces of enduring quality and value. Hamilton is a recognized leader in our commitment to responsible social and business standards, environmental preservation, and community philanthropic support.